Wall Street caused the BP disaster. Short-termism is the problem. The Benefit Corporation is a solution. For public companies, decisions are driven by the quarterly earnings call. Meet the numbers, keep your job. Beat the numbers, collect your bonus. The rules of this game are stunningly simple. And they are backed by the force of law. U.S. corporate law states that the legal obligation of the directors and officers of a company is to serve the interests of shareholders. Period. Full stop. This is true even when serving the interests of shareholders comes at the expense of its workers, community, or the environment. This is why we have a race to the bottom for the lowest wages or most lax environmental standards. This is why safety corners are cut willfully, egregiously, and repetitively; this is how mountains of BBB loans become AAA at a scale too big to fail bringing the economy to its knees. If a Board Chair or CEO makes a decision that doesn’t maximize the short term financial interests of shareholders, he risks being sued. Before that ever happens, he’s more likely to just lose his job. The pressure to deliver short term profits is intense and reaches through every level of the company, cascading down from the Board room to the executive suites to the line managers. Everyone is measured by one yardstick and thus everyone sees every decision through one lens–will this make more money faster. We can’t change outcomes until we change the rules of the game. Fortunately, Maryland Governor Martin O’Malley and Vermont Governor Jim Douglas have done exactly that. Both signed into law this spring legislation creating a new class of corporations accountable to serve society as well as shareholders. It’s called a Benefit Corporation. Directors and officers of Benefit Corporations are required by law to consider the impact of their decisions not only on shareholders, but also on their workforce, community, and the environment. This gives them the legal protection to tell those disembodied voices on the quarterly earnings calls that there are limits to what sacrifices will be made at the alter of more-money-now. The Benefit Corporation relieves the pressures of short-termism that drive bad decisions that affect the rest of us. Empowered with new rights, some group of BP shareholders would likely have asked if directors and officers considered the environmental impact of hundreds of decisions during the last decade when BP racked up more than 750 safety violations (97%! of all violations cited during that time by regulators). With a long pattern of behavior yielding such negative outlier results, BP’s attorneys would likely advise BP’s directors and officers that they were creating significant exposure for themselves to a shareholder lawsuit against them personally for breaching their fiduciary duties. Given this threat, BP directors and officers would likely have taken safety concerns more seriously, warning signs wouldn’t have been so callously ignored, and a $500,000 safety device wouldn’t have looked so expensive amidst record profits in the tens of billions. We can’t put this spill back in the pipe, but we can prevent future spills, and future bailouts, by removing the root cause of myopic decision-making. 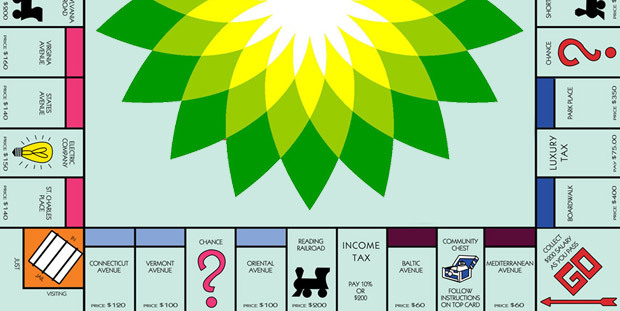 If BP wants to begin to rebuild public trust, a great first step would be to make their U.S. subsidiary a Benefit Corporation and to commit it to the level of transparency and accountability that might avoid a disaster like this in the future.